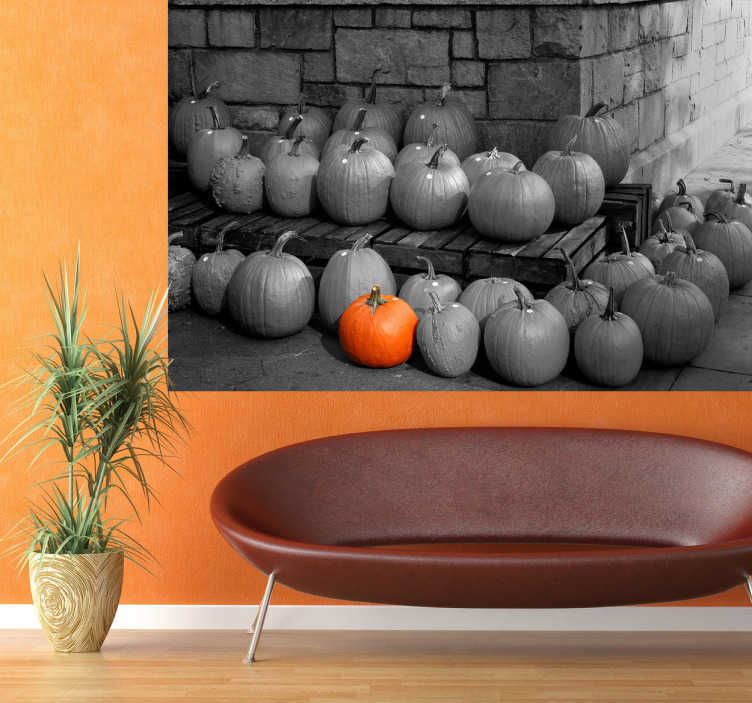 Photo Murals - Artistic black and white photographic shot with a contract of one bright orange pumpkin. Distinctive feature for your home or business. Available in various sizes. Made from high quality vinyl, easy to apply.